The project team included four juniors from the Worcester Polytechnic Institute. The team completed this project in requirement for their Interactive Qualifying Project (IQP). 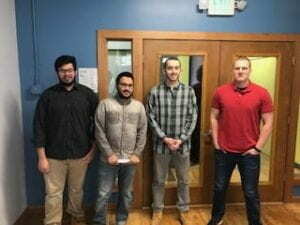 Pictured from left to right, the team includes Farraj Aldossary (Chemical Engineering major), Khalid Alsobhi (Chemical Engineering major), Timothy Tetreault (Mechanical Engineering major), and Tyler Rauch (Mechanical/ Fire Protection Engineering major) . The project team worked alongside the Worcester Regional Research Bureau (WRRB) in a combined effort to identify the barriers between Worcester residents and the Worcester City Government. The Research Bureau is a non-profit organization that conducts non-partisan research on public policy issues to promote public debate. For over three decades the Research Bureau has been informing the Worcester City Government in policy decision making by producing over 200 reports and by holding over 200 forums on a wide variety of topics that affect the city. For more information on the Research Bureau, visit them at their website, www.wrrb.org. 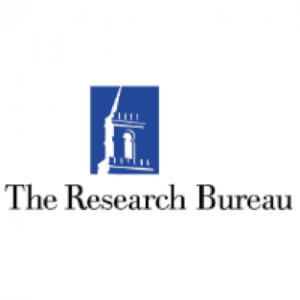 Create a tool for the Worcester Regional Research Bureau to be able to use to identify trends in resident opinion and perception over time and various aspects of life in Worcester. We believe the Research Bureau will be able to continuously provide the information they collect to the city government as a means to better influence policy making. We completed six objectives in order to achieve our goal. First, the team assessed the current levels in which the City of Worcester measures resident perception. Second, we researched how other cities across the nation receive input from their residents. Third, we analyzed the feasibility of any method previously researched in order to determine what strategies would be best suited for our project in Worcester. Fourth, the team gathered input from a wide variety of Worcester residents on some aspects of the city that they particularly believed needed improvement so that we could craft our survey questions to focus on these issues. Fifth, we created a online tool to periodically survey residents using the WRRB’s web platform and host. Finally, the team provided detailed recommendations on how the Research Bureau could most efficiently use and distribute this online tool.